Alphabolin is a derivative of dihydrotestosterone. The main active ingredient is the component metenolone. In sports, this component is widely known by another name – Primobolan or Primobol. It has a weak androgenic effect, and moderate anabolic activity. Alphabolin is presented in the form of injections. In a package of 5 ampoules each contains 100 mg of the active substance. Primobolan Depot – is represented as an injection substance from methanolone enanthate ester. The injection form of the active substance has a high duration of action on the body due to the gradual absorption of the substance into the blood. From the moment of the injection, the substance acts for 2 weeks. 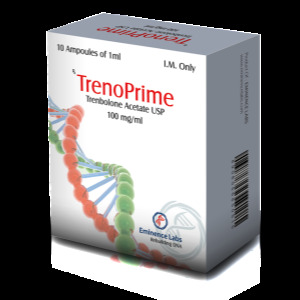 The duration is similar to testosterone enanthate. The disadvantage takes into account the painful injection process. The anabolic effect is 88% of testosterone, and the androgenic effect is 44%. Does not contribute to the conversion of hormones to estrogen. Safe for the liver, as it has low toxicity. It is recommended in the combined courses (if the goal is weight gain). The rollback is minimal. If the goal of the athlete is a set of muscles, then Primobolan’s solo course will not work. We recommend to buy Primobolan Alphabolin Alpha Pharma 5 ampoules in Almaty, if your goal is drying and preservation of muscle mass. The dosage and duration of the course are selected by a specialist in accordance with the characteristics of the organism. The mild effect of the steroid leads to long courses of up to 2 months. The longer the drug is taken, the higher the risk of adverse effects. 400 mg is recommended per week. 3 weeks after completion of the course, PCT is required. If the athlete needs a set of lean muscles, it is recommended to use nandrolone, testosterone, anadrol or methandrostenolone in parallel. 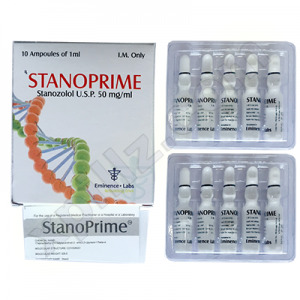 To enhance the effect of drying the mass is recommended to combine with Winstrol. Do not combine more than 1 drug. Effects on the nervous system (aggression, insomnia or irritability, etc. ).